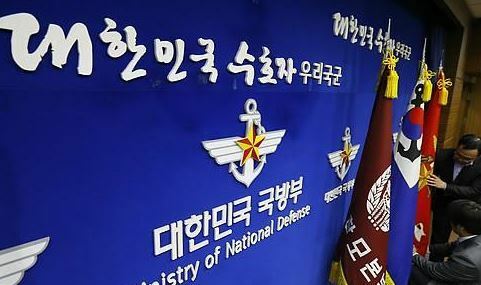 South Korea's military has canceled a plan to establish a new strategic command tasked with countering North Korea's nuclear and missile threats, a Seoul official said Tuesday, amid a full-fledged peace-building initiative. Instead, the Ministry of National Defense is considering installing a new division inside the Joint Chiefs of Staff to cope with the threats from the North's nuclear and other weapons of mass destruction. President Moon Jae-in pledged to launch the command during his election campaign in 2017. But the ministry ditched the plan after state-commissioned research found that it could undermine operational efficiency as its functions may overlap with those of other existing units. Observers view the decision as linked to Seoul's efforts to reduce military tensions with Pyongyang and facilitate ongoing diplomatic efforts for denuclearization and lasting peace on the divided peninsula. The ministry had planned to use the command to operate its "three-axis" defense system consisting of a low-tier missile defense program, a preemptive strike platform and a plan to incapacitate the North Korean leadership in the event of a major conflict.